A truly adorable Heart-shaped arrangement is here to allure your beloved! 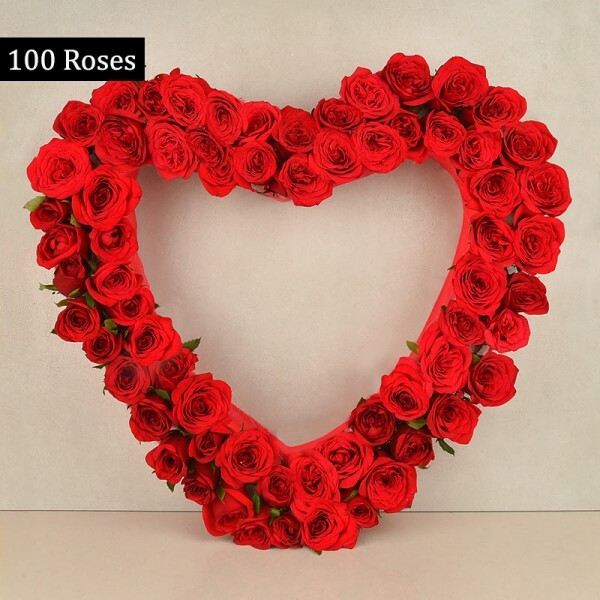 Beautifully designed by our expert florists, this has 100 Red Roses to express your purest feelings. 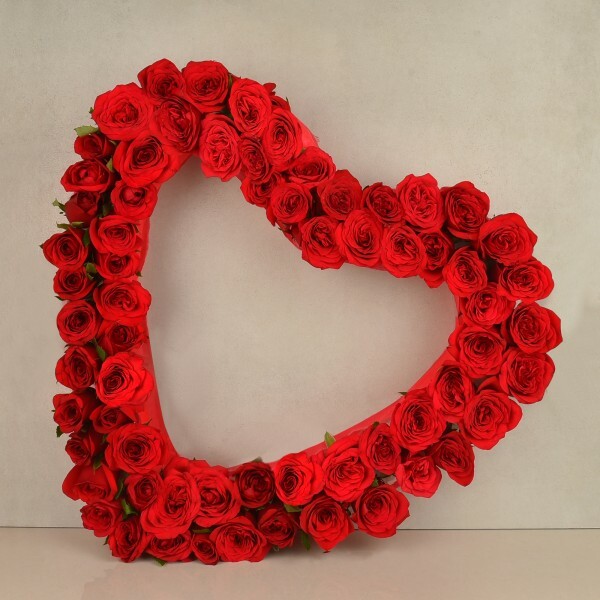 This Heart-shaped arrangement of 100 Red Roses can make anyone blush.